At Composition ID, we take pride in helping our clients reach their goals. 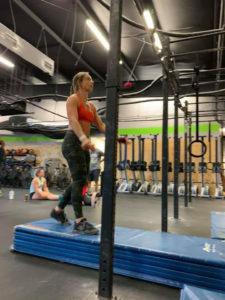 We’d like to spotlight our client Lezlie: a wife, mother of 3, CrossFitter, business-owner, and self-professed data nerd. 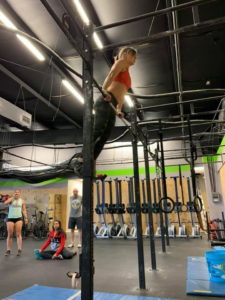 Lezlie joined us during a nutrition challenge hosted by a Houston CrossFit gym. She was looking to make composition changes without stressing over every single macro and still being able to enjoy time with her family. Read more from Composition ID Houston below! Q. What is the biggest change you implemented? A. One of the changes I implemented was eating a solid breakfast and morning snack before lunch every day. I’m usually rushing to get the kids and myself out of the door each morning. I used to rely on a scoop of protein in a cup of coffee for breakfast and would often leave my post-workout shake at home. By lunchtime I was ravenous and seemed to never get satisfied which led to over indulging. Another change is…all the carbs! Q. What was the hardest part of the Nutrition Challenge? A. I was ready for a change so it was fairly easy to be compliant during the challenge. Social settings were probably the hardest for me. But once I saw results, it was easier to make decisions to support my goals. Q. How did Composition ID help you with your nutrition? A. By combining the information from my DEXA scan with my personal goals, my nutritionist came up with a personalized plan for me. I kept in touch with my nutritionist with the Healthie app, where she encouraged me, answered questions, and tweaked my plan’s details as needed. She always provided positive, honest and relevant feedback. Q. What advice would you give to someone looking to make changes to their nutrition? A. I am thrilled with the progress I’ve made over the past 8 weeks. I feel great and have tons of new energy to consistently go to the gym 5 times a week. I’ve lost fat while maintaining strength from weightlifting (I lifted my max clean and jerk last week!) and I have improved my gymnastic strength tremendously (I can now do 15 strict handstand push-ups! ).